An unprecedented number of Nazi German and allied troops broke into the Soviet Union in the small hours of Sunday, June 22, 1941. 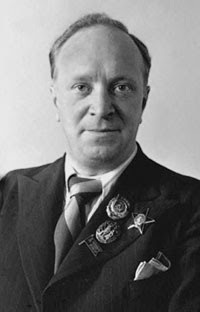 It took poet Vasily Lebedev-Kumach two days, June 22 and June 23, to write his Holy War poem. The poem made the lyrics of a new song presented, a mere three days later, to departing troops by the song and dance company of the Red Army. Artists, as well as the troops, met its call for national unity, moral integrity and heroism.